This May, something incredibly special takes place at GGPoker. They are relaunching GGS. This time, take part at Good Game Series 2. Find out more! A 15-day series of tournaments will bring more than $10,000,000 GTD across 157 events. There’s life-changing money up for grabs in many of the main events throughout the series. There will be tournaments for everyone’s bankroll. With accessible buy-ins ranging from $10 events up to Super High-Roller $10K buy-ins. There are also satellites running for GGS events, giving you lots of options as to how you want to approach the series or to match any bankroll. On the opening day alone, there are twelve GGS 2 events with over $1.2 Million GTD! Although there are tons of highlights, from $10 buy-in events up to the $750K GTD Super High-Roller tournaments, one GGS 2 event stands tall above the rest – the GGS Championship, with a whopping $500K GTD, and comprising of six Day 1 events stationed throughout the series that lead into a Day 2 showdown on May 26. Prepare yourself and join the action! If you don’t have an account, we recommend you one of the greatest GG skins- Natural8! There is a great promotion for new and eligible players on bet365. 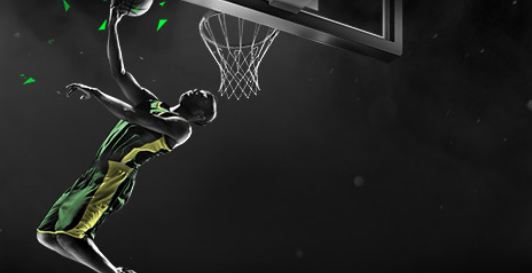 With Euro Basketball Bonus you can earn up to 50% more on Men’s European Basketball accumulators. Check out for more! Place a pre-game accumulator of 2 or more selections. You can choose matches from Men’s Euroleague, Eurocup, Spain Liga ACB, Italy Lega 1 and Germany Bundesliga. You choose on the 2-Way Game Point Spread & 2-Way Game Totals for Match markets. If your bet is successful, bet365 will add a bonus of 5 – 50% to your winnings. 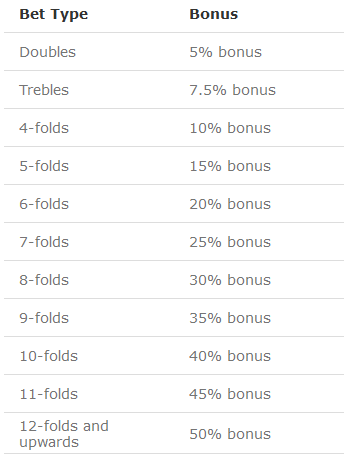 The bonus amount is dependent on the number of selections. If you place a bet with Bet Credits, you do not qualify for this offer. Register with us to bet365 and see here what we have for you! partypoker is launching their first ever Omaha Series! partypoker has proved that they are doing their best for the players. Lots of promotions, series, great events and many more are the proofs of this. This time, they are organizing a great event for Pot Limit Omaha lovers. Form Sunday, 28th April – Sunday, 5th May 2019 you can take part in partypoker’s first ever Omaha Series! There is a GTD prize pool with $2M in it! For those who don’t already know PLO or Pot Limit Omaha, plays much like Hold’em, except you have four hole cards instead of two, and you have to use only two of them. Also, you can use only 3 from the 5 community cards (flop- turn – river). So prepare to adapt your strategy and jump into the action! Stay tuned for more info and be one of the first to play our first ever Omaha series. If you still don’t have an account at partypoker, register with us and check out what we prepared for you! partypoker brings you another great promotion. This time, it is about their brand new format – Short Deck SPINS Bonus. You can now win $5 SPINS tickets by playing the brand-new short deck poker format! Hurry up, this promotion is on for one week only! So, until Tuesday, 24th April, simply play 100 raked Short Deck hands in 24 hours to claim your prize. This promotion runs daily, offering you the chance to win seven $5 SPINS tickets. Short Deck follows a similar format to Texas Hold’em, but with a few crucial differences! Most notably, cards below a six are removed, leaving a 36-card deck. The reduced deck creates more action, meaning you’ll reach your target of 100 raked hands quicker. So step up to a Short Deck table now for the daily chance to land a $5 free SPINS ticket! You still don’t have an account with partypoker? Register with us and win even more SPINS tickets! For more information visit our site and the offer review! Spring is the season of new beginnings and fresh starts! There is no better time to revitalize your poker play by going through Unibet Spring Bootcamp. You can play for €40,000 of poker prizes in four camps. The Bootcamp will last for 2 months. Flying through Bootcamp top of the class in time for summer is simple. Complete achievements in Omaha and Hold‘em cash games for points to scale mid-stakes or high stakes leaderboards. The top high-stakes player will win €2,000, with the outstanding mid-stakes player landing €600. Make the most of the points multipliers to climb that leaderboard as quickly as possible. How to earn points for the Spring Bootcamp? If a player completes a daily achievement in Hold’em, he cannot complete it in PLO the same day and vice versa. What can you win with Spring Bootcamp? Join Unibet today with us, grab your welcome package and start your spring winning journey! PokerStars prepared some great promotions to celebrate 200 BILLION HANDS! Find out more! The 200 Billionth Hand is coming! To celebrate this PokerStars is giving away hundreds of thousands to our players via exclusive offers! Don’t miss free daily prizes, random prizes and giveaways across three weeks of non-stop celebrations! You will win €10,000 in an instant if dealt into our landmark 200 Billionth Hand. But that’s not the only way to win from April 15. You can win some great prizes by playing any of PokerStars games. Play cash games during promo hours for the chance to win surprise Chests stuffed with prizes. Get a share of more than €100,000 in random tournament ticket drops and play some of our biggest events for free. Log in and play a single hand of poker to get a new prize, every day. More than €200,000 in prizes to be given away. Grab a slice of T€100,000 in the 200 Billion Mega Freeroll – play for free! The celebrations are for players of all levels and fans of all poker formats. It’s PokerStars way of saying thank you for such a historic achievement. If you still don’t have an account, register with us to PokerStars and grab a great Welcome Bonus! PokerStars is now the official and exclusive poker partner of the UFC. The heavyweight of online poker has teamed up with UFC. UFC is the largest mix martial arts promoter in the world. Both of these industry leaders claim: Expect action! Look out for fantastic promotions and VIP experiences, fight for huge prizes in our new UFC Spin & Go’s, and much more! Grapple for huge cash prizes in our new UFC-themed Spin & Go’s – where poker and the world’s most exciting combat sport collide! Go and challenge in the Spin & Go lobby now! Also, visit the PokerStars Store for many great new products! Register with us to PokerStars, grab the Welcome Bonus and start the FIGHT! Do you like sports betting? partypoker sports has a great promotion for you – Weekend Bet & Get. Check out how it works and which prizes you can win every weekend. With this promotion, you can win every week! The promo period lasts until the 12th of May, so hurry up! How Weekend Bet & Get works? There’s the chance to win a $/£/€100 free bet every weekend until the 12th of May. First, you need to opt-in. Once you have done that, simply wager $/£/€20 or more on sports – choose any market you want. Also, your wager can be a single bet or multiple bets – as long as you bet a total of $/£/€20 it doesn’t matter! Once you met the wagering requirements, you go to Click Card. The prizes are ranging from a deposit bonus, free spins or even a $/£/€100 free bet. Prizes will be made available as soon as your qualifying bets have been settled – simply go to our promo page and click the relevant card to reveal your prize! Join partypoker sports today with us and check out which Welcome Offer is waiting for you!